From pristine coast to pristine coast, there are so many wonderful things to do in Mauritius. 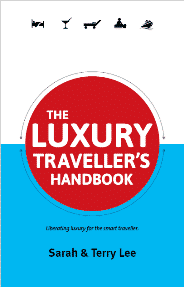 The offerings of this Indian Ocean island range from beaches to spas, adventure to cooking, and from shopping to road trips. A road trip. In Mauritius. Somehow the two just didn’t add up in my mind. The idea of lounging on the beach seemed so much more appealing. But how wrong I was. Setting off to explore its coastline and inland highlights turned out to be a real eye-opener. I discovered a mix of quiet fishing villages, plus the bustling capital city of Port Louis, each had a story to tell and something unique to offer and my road trip adventure made me feel more like an islander than a tourist. 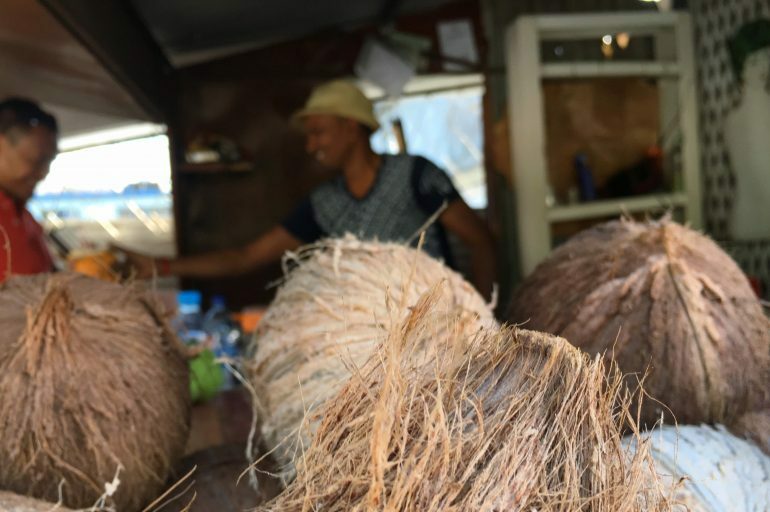 Here’s a round-up of my Mauritius road trip with key attractions and sights, along with driving tips should you plan on hiring a car to explore the island. Mauritius’ western shores are dotted with a number of luxurious hotels along Flic en Flac beach. As we drove through the quiet seaside village, I watched the world go by to the beat of everyday life, as local shops and restaurants opened up for the day. With the windows down, the coastal air was refreshing, and the glorious views of the Indian Ocean and Le Morne peninsula were a very welcome sight. 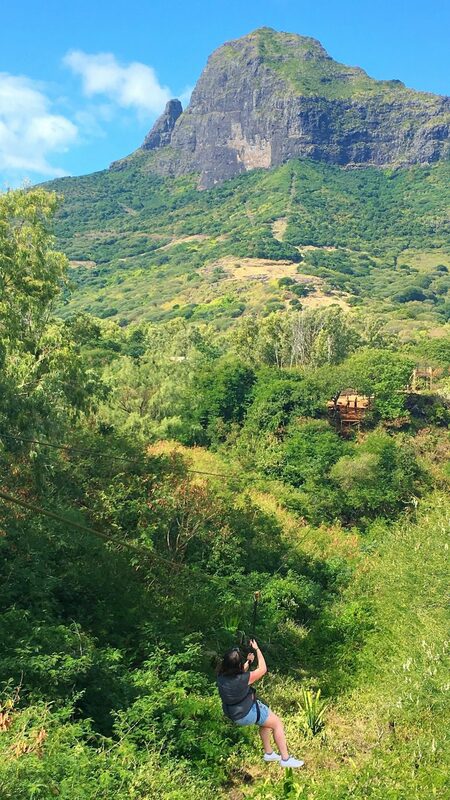 My first port of call was Casela World of Adventures, where I took on the challenge of zip-lining. My aversion to heights built my nerves to a height only surpassed by the zip-line itself. This fear only grew as I was kitted out with a helmet and harness. It wasn’t long before I was stepping out onto a rocky bridge heading for the first zip-line, and wishing I was anywhere but there. Pushing through my fear I was soon distracted by the phenomenal views, my steps of trepidation guarded over by the giant shadow of Rempart Mountain. As my feet teetered over the edge I was instructed to sit back in the harness, my heart thumping rapidly at the prospect of putting all my trust in rope and metal. Adrenaline coursed through my veins and I knew there was no going back. With one last gulp in a vain attempt to suppress my fear, I zoomed off, screaming high above the tree canopy. But my screams soon turned into whoops of joy at feeling the fear, and doing it anyway. Feeling exhilarated, I was ready to do it all again. On the second day of our road trip, as the sun broke through the clouds, we stopped off at a stall, La Coupe Soif, for some local refreshments. There at the roadside, Rajeev expertly chopped a coconut to expose its juice, then added a straw before handing one to me with a warm smile. 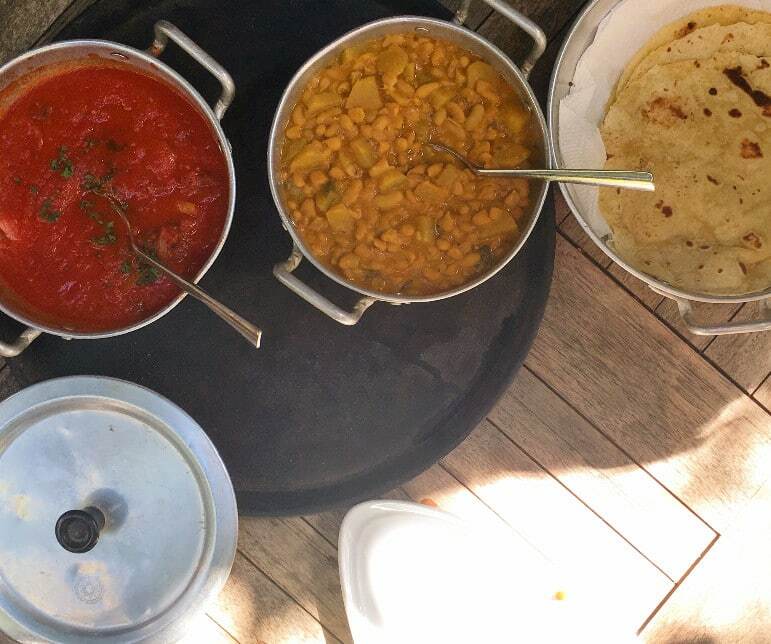 Refreshed and raring to go, we headed towards the city of Mahébourg, and the eco safari lodge, Otentic eco tent experience for an interactive Indian cooking class. Otentic has a very rustic feel, with furniture around the site made from reclaimed materials. As I meandered around the resort, I was taken in by the natural surroundings. 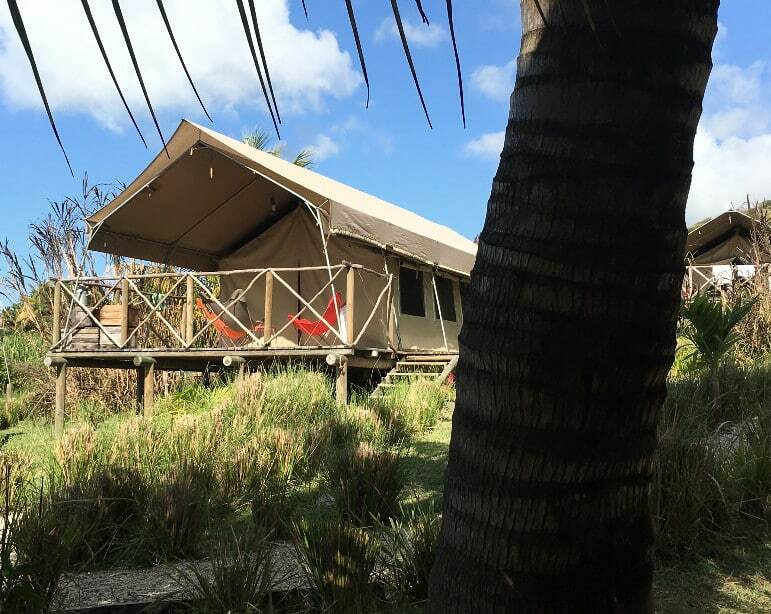 With a tree canopy for much needed shade and resting just above the Grande River South East, which glistened in the sun, I quickly fell in love with the chilled out vibes of this unique glamping hideaway. During our time here, we learned how to make pharata, an Indian pancake. Sadly my cooking skills leave a lot to be desired, but it was great fun, though I did worry a little as my efforts were judged by the resort’s chefs. However the best was yet to come – sampling the final product. I added some sweet tomato and spicy bean sauces to the light and fluffy pancake and could have devoured the whole platter they were so good. All fuelled up and back on the road, we headed for Quatre Soeurs to find Devil’s Point, which was easy to spot with two 18th century canons prominently stationed on the headland. 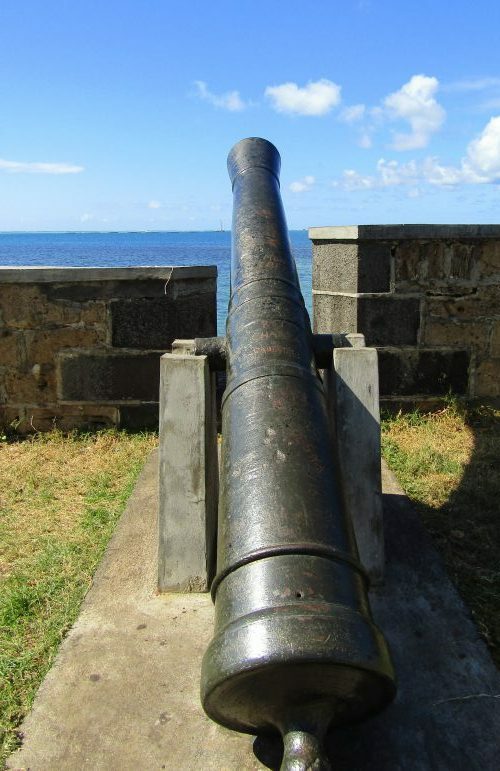 While the Dutch were the first to settle on Mauritius, the canons date from the French fortifications, used to defend the island from invaders. It is said that as ships used to pass the headland, compasses would go awry, hence the name Devil’s Point, owing to the trickery. As I looked out to sea and watched small fishing boats lumbering on the waves, I imagined what a phenomenal encounter it would have been, to be one of the first to set foot on Mauritius. For me, a trip is incomplete without a stop for souvenirs, and I was pleased to visit the fragrant Ylang Ylang shop, close to Vieux Grand Port. 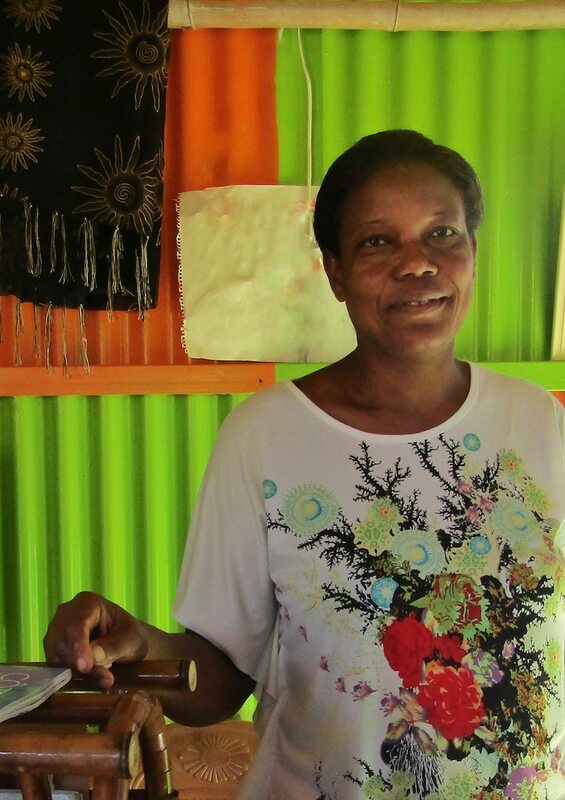 Laurianne showed us around the family run business, which also has a factory attached, used for distilling ylang ylang and citronella to make soaps, perfumes and other deliciously fragrant products sold in the shop. I picked up a frangipane soap there, and every time I inhale its sweet perfume, it reminds me of Mauritius. 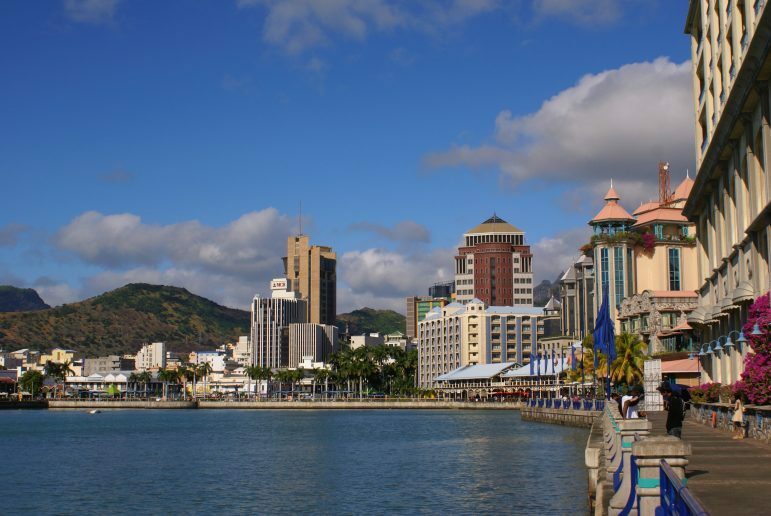 Heading north, and just 30 minutes from Flic en Flac, lies the capital of Port Louis. With much more hustle and bustle than the villages I had encountered so far, Port Louis provided a nice change of pace. I watched the buzz of city life while whizzing past the commercial district, on the way to Fort Adelaide. Fort Adelaide was built in the 1800s to guard the harbour in case of attacks. At 240 feet high, the fort towers high above Port Louis. 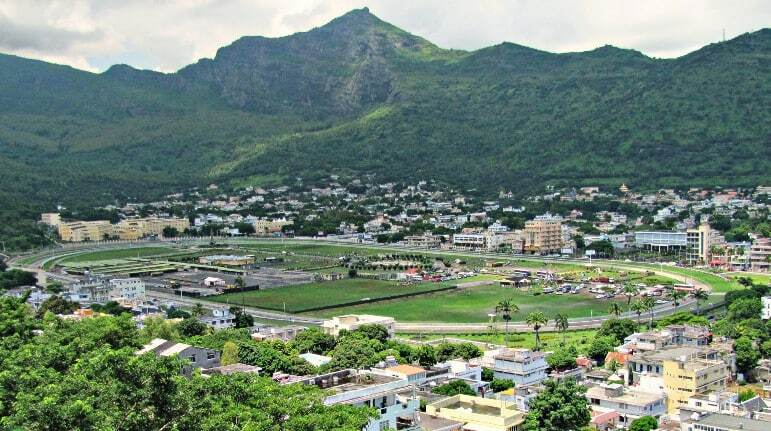 It’s a great location for a photo opportunity with views of the coast, mountains and Champs de Mars racecourse, home to one of the world’s oldest horse racing clubs. I was impressed at just how much I could see of the island from there and took a moment to soak up the views. However the promise of lunch by the waterfront brought me down the steps with gusto. I lounged over lunch at the Labourdonnais Waterfront Hotel – named after the founder of Port Louis and enjoyed the late afternoon sun. The waterfront is packed with luxury yachts and its boardwalk is home to high-end shops including jewellers and boutiques, as well as numerous restaurants and eateries, I could easily have spent the afternoon exploring here. 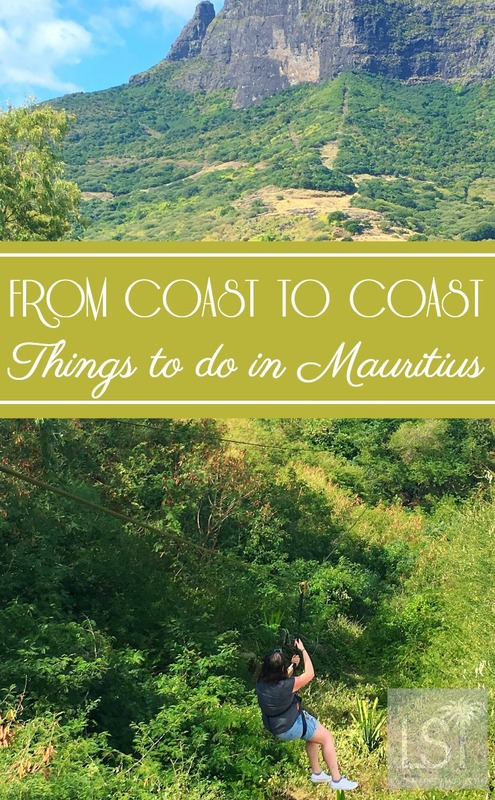 I was so glad that instead of lounging on the beach with only ocean views before me, I’d decided to venture further afield to experience more of the array of things to do in Mauritius. To soak up its views, history, and culture. Mauritius throws up an array of opportunities to get up close to nature. After a short boat ride I landed at Ile aux Aigrettes and was soon wandering under a dense canopy of trees, in search of one of its giant tortoises. And it didn’t take long to spot one. 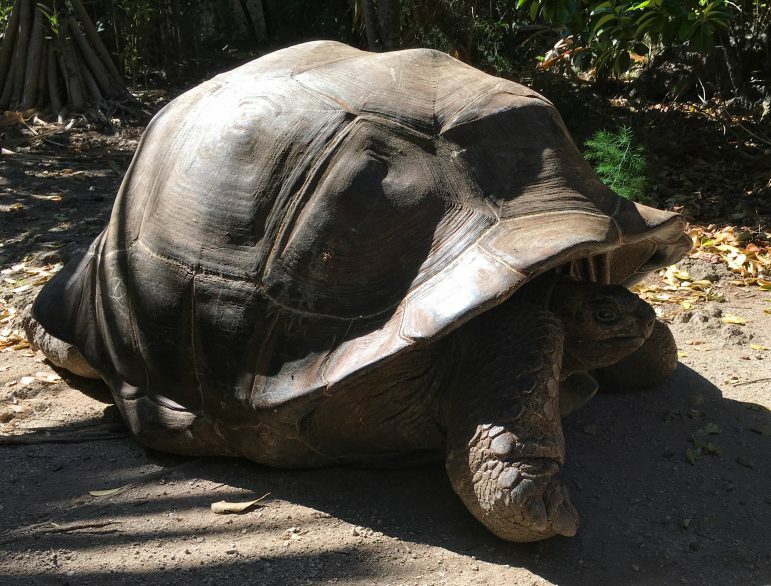 As I saw him slowly meandering along the trail, I hid out of sight so I could observe him up close, and the intricate details of his giant shell. 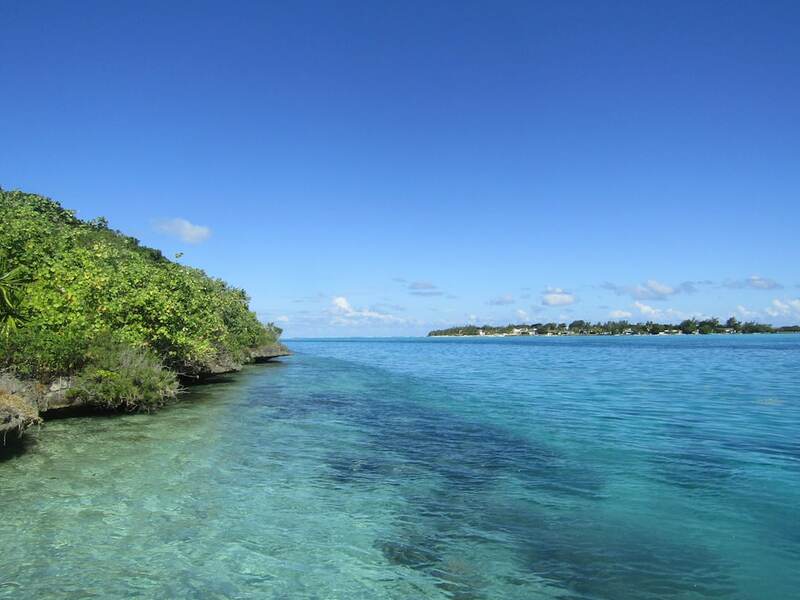 The beauty of Ile aux Aigrettes is in its conservation efforts to restore the island’s rich diversity of flora, fauna, reptiles and birds. 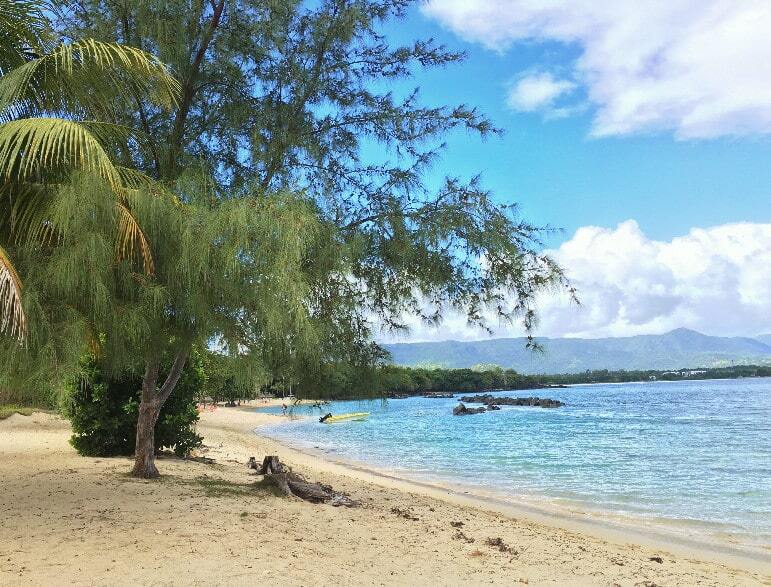 Despite my hesitation in taking an island road trip, I was pleasantly surprised that whether I was relaxing on a beach, exploring city life in Port Louis or journeying around the coast, the tropical views and great hospitality made me feel at home in the warmth of Mauritius. There really was more to Mauritius than I ever expected. Mauritians drive on the left, with traffic systems and signage similar to that in the UK. With an area of just over 2,000 square kilometres, you can drive from Mauritius’ north to south or east to west coasts in approximately an hour, depending on traffic. There is one motorway on the island, but the coastal roads are a far more picturesque and leisurely way to travel around the island. Local drivers do not think twice about stopping at the side of the road with no warning, so make sure you have enough stopping distance between you and the car in front. Locals drive quite fast and will overtake at will, so be cautious on bends. Try to avoid driving into Port Louis on weekday mornings between 6.30am and 9am due to heavy commuter traffic. Hiring a car? Local rental companies include Pingouin Car Rental, Royal Car Rental and OLA Mauritius Car Rental, in addition to well known brands. Alternatively consider hiring a taxi with a guide from ABC Car Rental to discover the island like a local.